When you want to get ready for work or school in the morning, you may want to put on the heating in your home so that you can be more comfortable – especially in the colder months. Instead of needing to turn on the entire central heating system in your home, you will be able to install a bathroom heater so that you can keep your bathroom warm without wastefully heating up the rest of your home. You will notice your energy bills drop and mornings will be more enjoyable too. This buying guide will help you to find the best bathroom heater for your needs. No matter what kind of heater you are considering purchasing, our bathroom heater reviews will have something to suit everybody and they are a good way of finding out what products are already available on the market today. Read on to find more about these useful appliances, bathroom ceiling heaters, bathroom wall heaters and why you need one in your home. 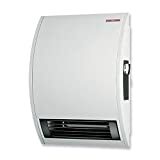 Whether you need a replacement wall heater for your bathroom or if you are installing a wall heater for the first time in your bathroom area, this wall heater from Stiebel is a great choice. The surface mounted design means that you can install it easily without needing to cut into the wall and it features high quality and durable construction with a nearly silent operation. Although these heaters are a little more expensive than some other models that you may find on the market today, you will be able to enjoy more effective heating and a longer lifespan with this one. It is also highly energy efficient and will save you plenty of money on your heating bills, especially when used as a supplemental heater. You’ll be surprised at how powerful this space saving heater actually is. Whether you need it for your bathroom or your basement, the chances are that it will be more than adequate for the space that you need to heat. It also offers several different heating temperatures, so if you want to maintain an above freezing level in your bathroom at all times, you can turn it to the lowest and most economical setting so that your bathroom will be comfortably warm at all times. This wall heater from Broan is just what you need when you want to add a high-quality wall heater to your bathroom without any difficult installation procedures or high costs. The heater itself is affordable and it provides you with plenty of features to help you to get the maximum benefits from its power. This heater comes with a front mounted thermostat to allow you to easily alter the temperature of your bathroom. It is easy to operate and easy to reach. The color-coordinated knob also allows you to see more easily what setting the heater is on. So that you can keep up with the maintenance of this unit, the whole heater assembly comes out of the housing for any time that you want to clean it out. You can also avoid any costly servicing contracts as the motor is permanently lubricated for easier care. The heating element at the center of this heater is 100% energy efficient so that you can be sure that you’ll not waste money when it comes to your energy bills and thanks to the high-quality alloy heating element, your bathroom will heat up quickly when you turn this heater on. 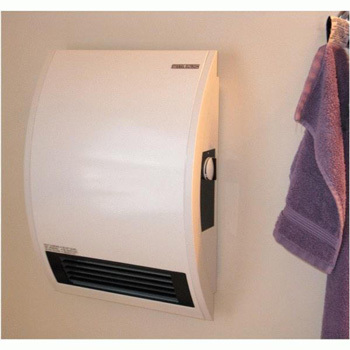 If you can’t install a heater in your bathroom permanently due to renting or if you simply want a quick and installation-free method of adding heat to your bathroom when it is particularly cold, you should check out this heater from Nikko. 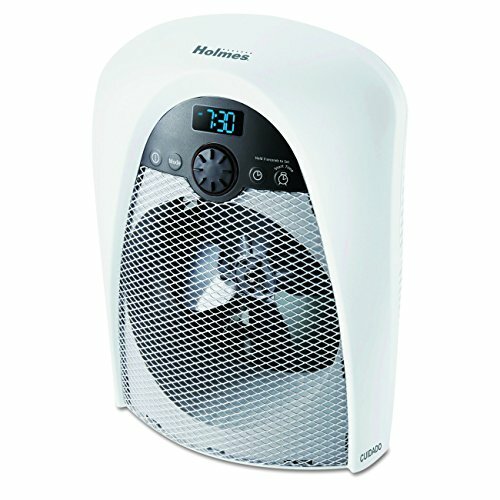 This is a 1500-watt ceramic heater, which will provide you with plenty of heat when you need it. You can also alter the temperature if you fish up to a maximum of 120 degrees Fahrenheit. Three different heat settings are available for you to choose from. The lowest heat setting is an energy saving mode that will ensure that there is a little heat and this will keep the chill out of the bathroom. The medium and high heat settings allow you to choose how warm you want your bathroom to be. The ceramic heating element is tough and durable. It also ensures that the heat is distributed around the room well. To keep you safer when you are using this heater, it comes with some safety features. An overheat protection switch will ensure that this heater will turn itself off when it becomes too hot. Another safety feature is an anti-tip switch. If the heater is knocked over or is off balance, then it will turn itself off for safety. This bathroom space heater can be used as a portable heater when you can’t mount it, or you could choose to use it as a wall mounted heater if you wish. This allows you to have freedom when you’re choosing your heating method. To make this heater as easy as possible to use, it comes with a digital thermostat, digital clock, and a timer so that you can have complete control. All of these features are integrated into the front of the heater so that you can see at a glance what settings the heater is using. The thermostat is also programmable for complete convenience. In addition, the preheat timer allows you to set the heater to warm up a little before you need to use the bathroom so that you don’t have to wait for the room to start getting warm. Unfortunately, you can only choose one heat setting for this heater and this is fixed at the 1500-watt output. You can still control the temperature of the room, however, using the thermostat. To give you peace of mind after purchasing this product, you will get a 1-year warranty with this heater. This allows you to return the heater for repair or replacement if any manufacturer’s faults develop. When you are looking for a bathroom heater, there are a number of important factors that you will need to consider. From the location of the heater to the features that it has to offer, we will look at some of the most important things that you will need to remember when you’re trying to find the right bathroom heater for your needs. First of all, there are a number of different bathroom heater types that you can choose from. Whether you’re looking for an affordable heater that will simply take the chill out of your bathroom when you first wake up or if you want to add a luxurious and good looking heating solution, there will be a model out there to match your vision. – if you only need bathroom heating in the very cold winter months but have no need for a heater throughout the rest of the year, you will be able to choose a portable bathroom heater. These heaters are also suitable if you are renting your accommodation and don’t have the option of installing a more permanent solution. These heaters need to plug into a socket and unless you purchase a radiant heater, you may find that they are noisy. One of the best things about portable heaters, however, is that you can take them from room to room easily and you can also store them out of the way in the summer months when you don’t need to use them. – Bathrooms are humid places and whilst you’re in the bath or the shower, steam will accumulate and rise. To prevent the steam from causing damage to your walls and ceiling, you could install a heater and exhaust fan combination unit. These draw out the moist air in the atmosphere whilst also providing a warm stream of air to heat your bathroom. Check out the bathroom fans here! 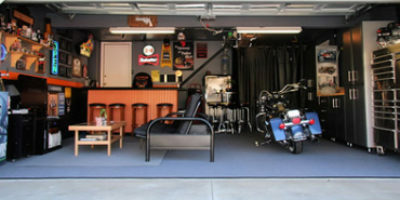 – A wall heater is simply a heater that attaches to the wall. There are various types available and as long as you choose one that is safe for the bathroom, you will find that these can be an effective way of providing heat in a smaller bathroom. – These heaters are a great choice when you want permanent heating. They are virtually impossible to obstruct and you don’t need to worry about finding a suitable wall space to install it to. They are also safer than many other heaters as they are away from water sources. Most people have a tight budget so it is important to know how expensive each type of heater is likely to be. The cheapest option when you are choosing the right heater for your bathroom will be an electric wall heater or portable heater. These are both useful choices for smaller bathrooms, but if you have a larger bathroom, you may find that they’re not quite adequate for your needs. Infrared and ceiling mounted fans are a little pricier, but you will find that they’re more effective in providing the warmth that your bathroom needs. Bathroom ceiling heaters are certainly very safe to use. By far, the most expensive type of heating that you can get for your bathroom is radiant floor heating. This heating method not only costs a lot to install, but it also costs a lot to maintain when something goes wrong. On the other hand, with this type of heating, you can enjoy toasty warm feet from the heat from the floor and the rising heat will also keep your bathroom floor dry. 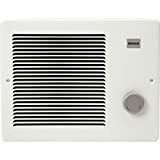 Bathroom ceiling heaters that come with an exhaust fan are available in all price ranges so regardless of your budget, you’ll be able to find one of these heaters that are suited to your needs. When you are trying to decide which is the best heater for your bathroom, you’ll have to think about where you will be able to install it. Not all bathroom heaters are suitable for every bathroom, so you should assess your bathroom before you make your decision. If you’re looking for a low cost and convenient type of heater for your bathroom, you’ll find that wall heaters are cheap to buy and cheap to install. You will need to have some wall space available and it must not be obstructed by any of your bathroom furniture or the door. These heaters are however suited to smaller bathrooms and may not be adequate if your bathroom is particularly large. – When you choose an extractor fan style heater, you should carefully assess your ceiling and ventilation options. You will need a duct to carry the moisture out of your home so you should be certain that this is possible before you commit to purchasing one of these heaters. 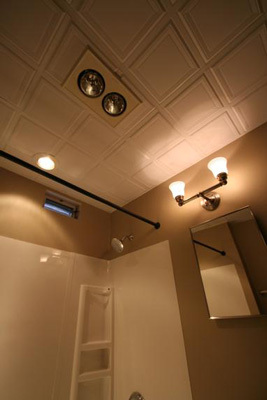 – Bathroom ceiling heaters are a great choice when you can’t think of another place for the heater to go. If you have a small bathroom and you are pressed to find a suitable area of wall for a wall-mounted heater, you can choose a ceiling mounted heater. You will need to run an electric cable to the heater in the ceiling, but this is generally no big deal. – If you don’t want the heater to be visible at all in your bathroom, you should consider radiant floor heating. Although this can be costly, it is a great way of giving your bathroom a clean and unspoiled finish by not needing to have a heater on the show. 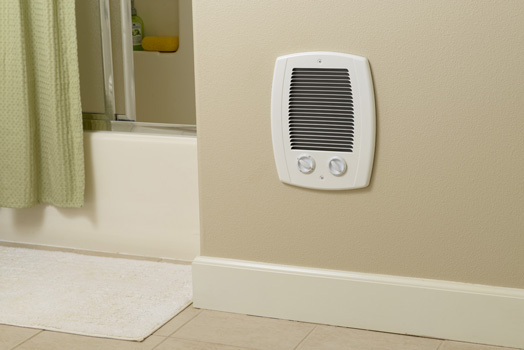 – If installing a permanent heater isn’t an option in your bathroom, you should consider getting a portable heater. It won’t matter too much where you place this, but you should ensure that it is in a safe place in your bathroom where it can’t be easily splashed as they often have a lower level of waterproofing than fixed bathroom heaters. Just like with any other heater, you should ensure that your new bathroom heater would be adequate for your needs. Many bathrooms are only small in size and so you could probably manage to install most kinds of heaters, but if you have a larger bathroom, you should check the heating ability of the heater. You will usually be given an estimation in square feet when it comes to heating abilities as well as a value for the number of watts of outputted heating power. You should measure your bathroom carefully and work out how many square feet you will need to heat. If you have high ceilings in your bathroom, then you may need to consider a more powerful heater too. Of course, there are a few different ways that you can verify whether you’re making the right decision or not when you are about to buy your bathroom heater. 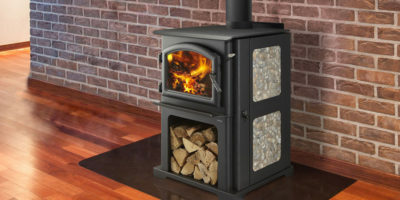 The reviews that you’ll find in this buying guide give you some ideas about which heaters are out there, but when you’ve made a choice, you should check out more reviews online from other customers. This will give you an idea of how happy or unhappy existing users are of the heater that you’re looking at. When you are installing a bathroom heater, it is important to think carefully about where you are going to install it. If the flow of warm air is blocked, you will not benefit from the heat and you could even make the heater dangerous to use. You should ensure that you install the heater in a place where you will receive the most benefit and avoid blocking the circulation of air to the heater by keeping it away from objects or in dead spaces such as behind a door. If you have a thermostat for your heater that needs to be installed separately, you will need to place it away from your heater. It is not a good idea to try to place the thermostat above the heater or in an area where it won’t get a good reading of the room’s temperature. When you install the bathroom heater, you should remember to have the proper ventilation in place if you are installing a heater that also has an extractor fan. You can often place these on the wall or the ceiling. In addition, you will need to have the right electrical wiring in place. You may need to contact an electrician to ensure that you have the necessary circuitry in place. Mounting your bathroom heater will depend on the type of heater that you have chosen. There are plenty of varieties of bathroom heater for you to choose from to suit your bathroom size and design and different ones mount in different ways. 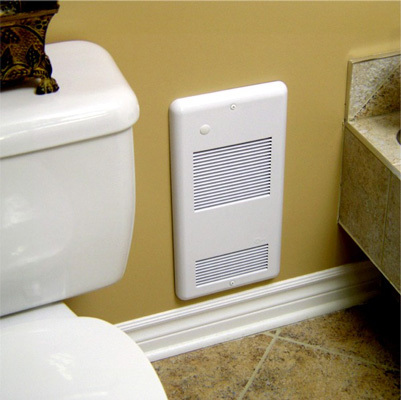 When you get a wall heater, you will usually need to mount it on the wall over the top of the current wall surface. This makes installation simple and less drastic as you won’t need to cut into the wall. On the other hand, if you want to prevent the heater from protruding out into the room, you should try to choose a wall heater that can be recessed between studs in the wall. Ceiling heaters are usually recessed into the ceiling space so that they don’t protrude downwards. The same can be said for heaters that are also extractor fans. 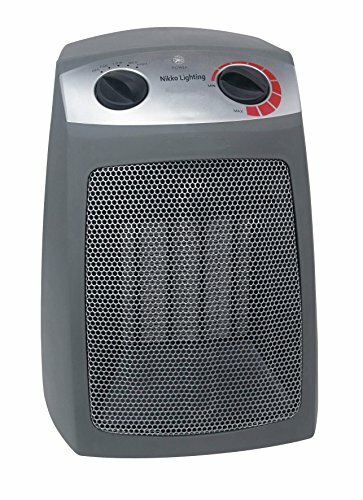 Obviously, portable heaters don’t have an option for you to mount them, but they do allow you to remove the heater when you’re not using it, which is great for renting or if you just want to purchase one heater that you can take around your home when you’re not using it in your bathroom. Whenever you are going to mount a bathroom heater for yourself, you should always check the manufacturer’s instructions first. This will allow you to have a better idea of the way in which the heater should be mounted. Some heaters even allow you to choose from different mounting methods. Buying a bathroom heater isn’t the only cost that you’ll need to consider when you are thinking about getting a bathroom heater for your home. One of the major costs that you’ll have to calculate is the cost of keeping the heater running. Different kinds of space heaters will have different kinds of heat outputs and the cost of running them will vary depending on the way that you use the heater and the way that your bathroom is laid out. If you choose a hydronic or electric radiant floor heating system, you will find that it can take up to 2 hours for the floor to become warm enough to start heating up your bathroom. This can be a costly way to heat your bathroom, especially if you will only be using it for half an hour after the heater has warmed up. If on the other hand, you want to keep your bathroom warm at all times, radiant floor heating may be more economical for you. 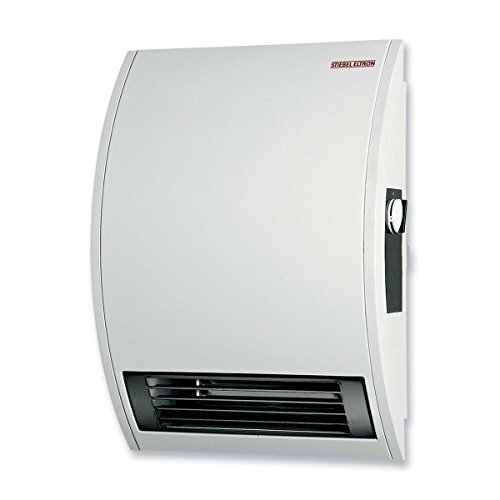 Ceiling and wall mounted heaters warm up the room instantly but they can cost a lot of money to run constantly as they simply warm up the air and blow it around the room. This uses a lot of energy and when you turn off these kinds of heaters, they instantly cool down again. Remember to ensure that you turn off the rest of the heating in your home when you want to use the bathroom heating as supplemental heating. This will enable you to save money on your entire heating bill. The bathroom can be a dangerous place. It is, in fact, one of the most dangerous places in your home. From the risk of slipping and falling in the bath to the risk of faulty electrical wiring causing a wire when it makes contact with moisture, there are plenty of reasons to take extra care in your bathroom. These bathroom safety tips are just a few reasons why it is important for you to maintain sensible bathroom heater safety. First of all, you should always install a heater that has been designed for use in the bathroom. There are plenty of different heaters out there to choose from, but you should always check before you buy that the heater is completely safe to use in a damp environment, and this includes portable heaters especially. Remember that even if a heater says that it is waterproof, you should still try to stop it from getting wet. Don’t install a bathroom heater where it is likely to be splashed or where pipes could leak onto it. If it is appropriate to do so, you should consider installing a ceiling heater or install a heater that is high up on the wall. This will make it more difficult for anyone to reach the heater and for that reason, there is less chance of the heater causing injury. 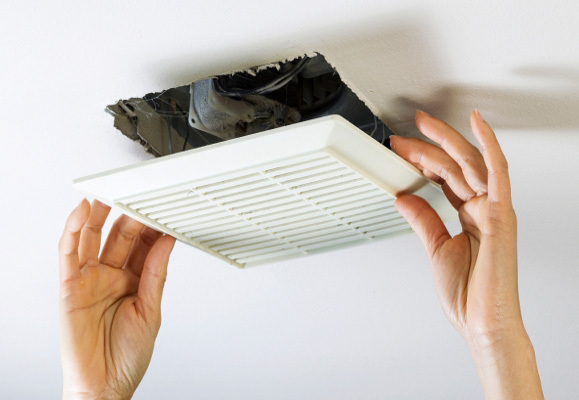 In addition, you should check where the ceiling heater is safe to be fitted. Whilst some can be used in the bathroom, they are still unsuitable for particularly damp areas such as above your shower or bath where there is likely to be a lot of steam. It is a good idea to have the correct type of fire extinguisher in your home for tackling electrical fires. Hopefully, you will never need to use it, but it is relatively inexpensive to purchase a small fire extinguisher for the home and this may be kept in your bathroom in case it is ever needed. You should never obstruct heaters. If you have a wall heater or portable heater in your bathroom, you should avoid drying towels on it for example. Once you’ve finished reading these bathroom heater reviews, you’ll have plenty of ideas about what choices you have for your bathroom. It doesn’t matter how much room you have or how many obstacles are in your way, there is a bathroom heater out there for everyone. When you are looking for the best bathroom heater for your home, don’t forget to bear in mind all the things in our useful buying guide, as everyone’s requirements are different. What is perfect in one person’s bathroom won’t necessarily work in another person’s. The best thing to do is to look at all the possibilities and read more reviews to find out what existing customers think. Try to use your entire budget to buy your bathroom heater so that you can be sure that the model that you choose is the best that you can possibly afford. You can also have peace of mind if you choose a bathroom heater that comes with a warranty too.